The story begin with Ishtar Naviento's birth. Coming from a black dragon cursed family living in a volcano called Inferis, this creature is part of a 666 sisters and brothers family, that we know only the half survived birting and that at least 50% of those survivors are still alive nowadays. Growing at the bottom basement and chained deep inside the family mansion, Ishtar finded the strength to break free when she was 8 and got to the highest tower of the mansion where her mother was jailed. Finally discovered, she got seriously injured by her father for disobeying him before being finally banished from Inferis. From there, she traveled in the eternal snow of the north where the volcano was and finished in a huge city seeing her as a parasite, arriving in the underground. Deep down in this society, the dragon girl grew, going from begger to prostitute, dealer and another scum like job before creating a network connection for taking the lead of Inferis. To win against her father, she learnt black magic. She finally mastered necromant secrets for her revenge. Years later, in a cold land around the north, on the Gora Moroz mountains, Theodorik Stanov came to life, son of a human knight and a female gnoll. Miwed between the life of a swordman given by his father and the life of a servant from his mother, Theodorik became slowly a two spirit, an hybrid in his mind and body. When he reached his 17th year, a terrible train accident ended his days. His body in pieces, Theodorik's chance of survive of weak and his fate seemed sealed. But the rumor of a necromant passing by Gora Moroz started. That's how Ishtar Naviento offered her services to this knight family for bringing back to life Theodorik. Using her black magic, she managed to make the son alive once more, using her skills for giving to him new legs and right arm with artificial limbs. When he came back to life, the poor was different, gaining new thinking abilities and a deep dark side. From that day, he decided to be called Theorem. Theorem was indebted to Ishtar, falling in love with her dark aspect and finding a new meaning to his life. He decided to join Ishtar's group to fight for Inferis freedom from Ishtar's dad tyranny. After a long battle, victory came to their side and Ishtar's group freed the throne before placing Ishtar's mother as the queen, no longer a prisonner. Wanting a life of adventures, with a whole world to discover, Ishtar asked for becoming the Admiral of Inferis Navy, traveling at world's end, giving to his loyal Theorem the title of Vice-Admiral. Both of them on ships got over the seas and oceans to discover a new world far away, new countries and continents and even create their own colony. 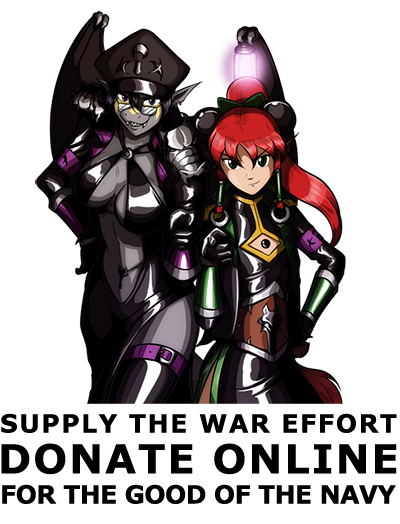 Leading Inferis Navy, Ishtar and Theorem will navigate for centuries, meeting adventures and victory.